I am witnessing street fights, media manipulation and desperate attempts to politicize the events taking place these days in Romania. I used to believe that calling me stupid was the worst kind of an insult. After these events, more than ever before, calling me a ‘tv reporter’ would be the worst kind of an insult one can I ever be addressed with. This is something I always suspected but never witnessed like I do now as a documentary photographer. I feel sorry for the protesters, regardless their background. There are voices claiming that those protesting daily in the University Square are on someones payroll. 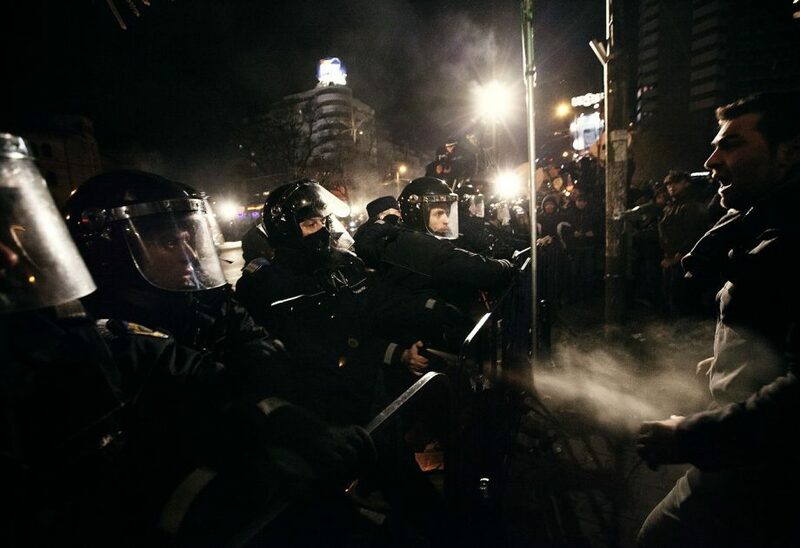 Romanians loosed their desire to willingly reclaim their dignity. So if they where to be payed to do so, it doesn’t bother me, nor does it make their efforts less applaudable. I feel sorry for the members of the riot police forces, regardless their allegiance. It scares me to realize that we can’t understand the good of what is happening to us these days. Everyone is hopping for a immediate change and that will not happen. At least not for the time being. The only positive lesson that we can learn from these events is that we do not need 22 years to throw rocks if we feel that our politicians are mocking us. We can throw rocks every year, every month and every day if needed. On the short term that might not have the desired impact on the politicians attitude towards us. On the long term, this will truly make the difference between generalized thievery and corruption on one hand and occasional dipping into public funds triggering or not legal charges, on the other hand. It looks like the end of thievery and corruption in this country, as we know it, will come from the football fans. If our national football team would play half as good as this guys fight, we would be the champions of the world. To be honest, if they can not save us, no one can…My only regret is that in order to do it they have to go against their own brothers, the riot police forces. I appreciate and respect the football fans, unfairly deemed hooligans, devastating (with the exception of those that broke into stores) the city on one hand, for violent actions are this countries’ last resort. I love and respect the riot police forces for the amazing job they did protecting our fragile and misunderstood democracy, on the other hand. In my humble opinion, the football fans and riot police forces are the only two democratically functional forces in today’s Romania. This is the game and these are the rules…Only if we could see past that and expose our enemies for what they are for the first time. Rocks we have. We are now learning that we can also throw them. I am just wondering how long it will still take us to learn our targets. 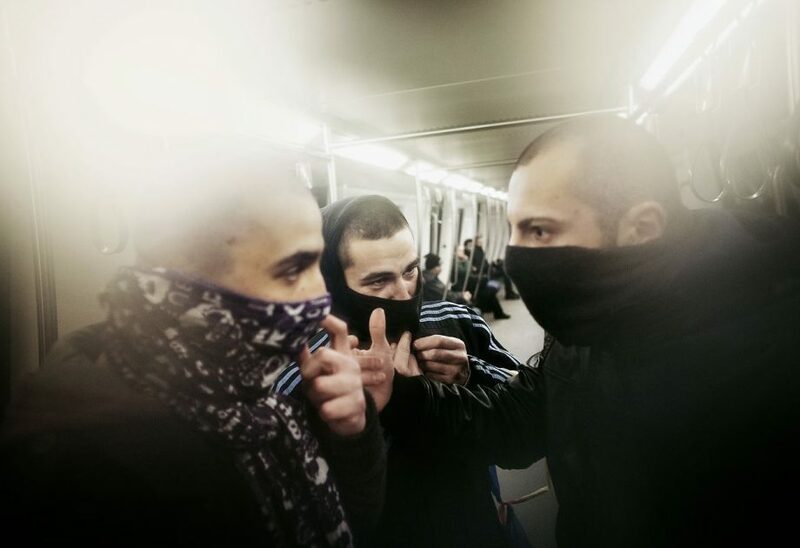 BUCHAREST, ROMANIA Ð JANUARY 24: Alex and Iulian , 21 years old protesters seen inside the subway from University Square to Unirii Square. Protesters opposed to austerity measures imposed by the government continue to demonstrate on the streets of the Romanian capital, Bucharest on January 24, 2012. Romania has slashed public wages and raised taxes in attempts to cut its budget deficit and meet pledges to both the International Monetary Fund and the European Union. 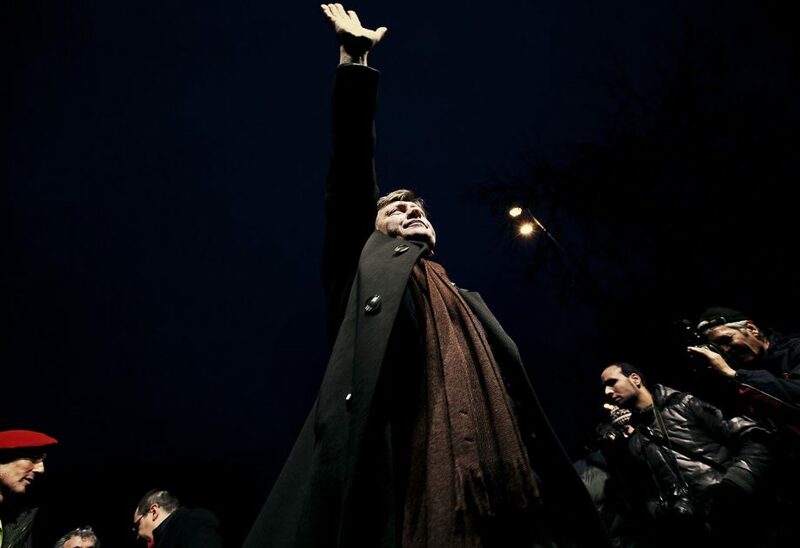 BUCHAREST, ROMANIA Ð JANUARY 19: PNL leader Crin Antonescu waves at protesters opposed to austerity measures imposed by the government during a rally called by opposition groups on January 19, 2012. Romania has slashed public wages and raised taxes in attempts to cut its budget deficit and meet pledges to both the International Monetary Fund and the European Union. BUCHAREST, ROMANIA Ð JANUARY 15: Protesters opposed to austerity measures imposed by the government clashed with riot police on the streets of the Romanian capital, Bucharest on January 15, 2012. Romania has slashed public wages and raised taxes in attempts to cut its budget deficit and meet pledges to both the International Monetary Fund and the European Union.